With the possibility of a new ninth planet (sorry Pluto), I felt it was time to dust off the ‘ole astronomy hat and help re-affirm why Pluto is most definitely not a planet. Diagram showcasing Planets vs Dwarf Planets via New Horizons: What We Know. 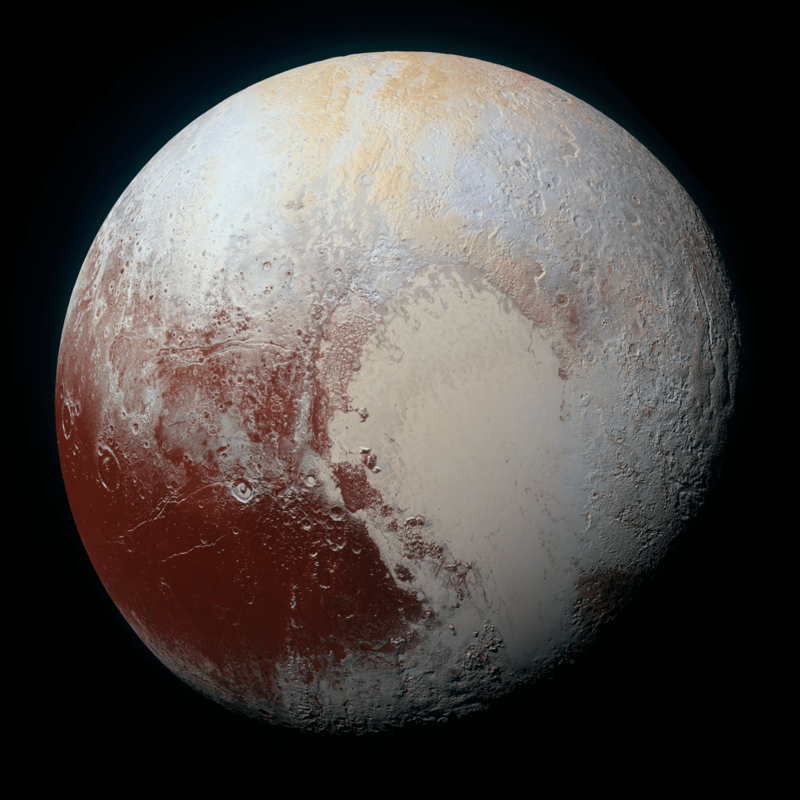 Pluto was discovered in 1930 at the Lowell Observatory in Flagstaff, Arizona, by astronomer Clyde Tombaugh. While it was originally thought to be the only object of it’s size at that distance, thanks to the discovery of the Edgeworth-Kuiper Belt, more comets of similar, and larger sizes to Pluto have been found. Meaning, that Pluto was indeed too small to be classified as a planet. 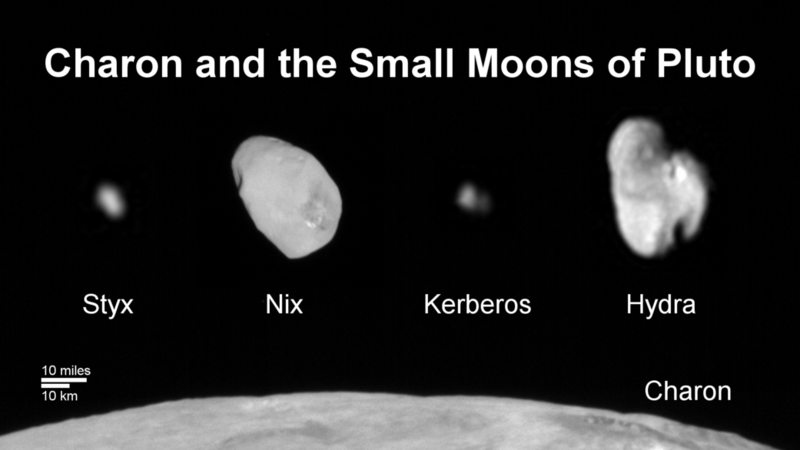 Known Kuiper belt objects vs Asteroid Belt via New Horizons. That’s not all! The orbits of the eight known planets in our solar system are fairly circular, while Pluto’s orbit is more elliptical. This stretched out shape causes Pluto’s orbit to be 248-years long. In comparison, Neptune orbits the sun three times for every one mosey-about-the-sun for Pluto. Planetary Orbits via New Horizons. The planets are also classified by their composition. The inner planets, also known as terrestrial, are solid in composition; while the outer, jovial planets- such as Jupiter and Saturn, are gaseous in composition. This left the ice-rich Pluto in his own lonely domain, with just a three-headed dog and the countless spawns of Nix for company; and with the discovery of more ice-composed objects far closer to Pluto, the only logical solution was to conclude that Pluto was not in fact a planet- But instead, a part of an even larger group of icy-comets traveling on the edges of our solar system. Pluto and his friends via New Horizons. While it is sad to have to demote one of the most beloved of planets, the discover of a new ninth planet might just fill the void we’ve all been feeling. Pluto’s ‘famous’ heart via New Horizons. Astronomers have been scouring the skies for decades hoping to finally discover the elusive “Planet X”. So far, all they have been able to theorize is that an object, similar in size to Neptune, is orbiting in an elliptical pattern around the sun; due to what seems like a clustering of objects near Neptune’s orbit. As stated in the article by Sciencemag.org “there’s only a 0.007% chance, or about one in 15,000, that the clustering could be a coincidence. Instead, they say, a planet with the mass of 10 Earths has shepherded the six objects into their strange elliptical orbits, tilted out of the plane of the solar system.” They, of course, are the newest participants in the space-race to find Planet X, Mike Brown and Konstantin Batygin. There of course have been numerous claims over the years of the presence of a Planet X, but astronomers have their fingers crossed with Brown and Batygin’s evidence. The discovery of a new planet, whose orbit passes far into the Edgeworth-Kuiper belt would change everything we know about the reaches of our solar system. But, that’s what they always say about a new discovery. You can’t blame them though, a new planet would mean a new name introduced into our solar system, and the replacement of my planetary place mats. Personally, my vote is for Proserpina or Minerva. It’s time we threw a couple more female Goddesses into the mix. I was having a glass of wine with Pluto the other day and according to what Pluto said between glasses of Merlot, it really doesn’t matter what others think. Although, reading planet-body language, this might not be the case. Not to mention Pluto only hears from us every couple of months! What kind of friends are we? Calling him names, and making fun of his size. Shame on us! The least we could do is text once in a while. Thanks for helping me understand Pluto and a possible planet X. Very interesting.